Coronary Artery Disease (CAD) develops when the arteries that supply blood to your heart become narrowed or blocked by a build-up of fatty deposits called plaque. As a result, it gets harder for the arteries to supply blood to the heart. Records your heart’s electrical activity in order to identify an abnormal heartbeat or damage to the heart muscle. Evaluates your heart rate and rhythm while you are exercising. Measures the chambers and heart function using sound waves and check your valves and major blood vessels. Coronary angiography is a procedure to visualize the coronary arteries. The coronary arteries are the blood vessels that supply blood to the heart muscles. On ordinary chest X-ray films, the heart appears as a silhouette and the coronary arteries cannot be seen. To see the coronary arteries, a special dye or contrast medium is injected through a small tube (catheter) inserted via a large artery in the groin or the wrist. The catheter is then advanced to the heart and positioned at the openings of the coronary arteries before injection is performed. After the catheter placement and filming, which normally takes about 15 to 30 minutes, the catheters will be removed. Upon removal, the doctor will discuss his findings with you. If necessary and you are agreeable, he may proceed directly to coronary angioplasty. Treatment of CAD usually begins with lifestyle changes and/or medications that help the heart work more efficiently and improve blood flow to the heart muscle. If these initial treatments are unable to control the symptoms of CAD, an interventional procedure may be required. The same is true if the narrowing of the artery is so great that the lack of blood flow is starving the heart muscle of oxygen. A small balloon is inflated within the narrowed portion of a blocked artery, pushing plaque against the artery walls and improving blood flow to the heart. A metallic mesh tube that is delivered on an angioplasty balloon to the narrowed portion of an artery to permanently support the artery walls and improve blood flow. A metallic coronary artery stent, permanently implanted in an artery, which has been coated with medication to prevent an overgrowth of the artery lining that, can occur as a reaction to stent implantation. 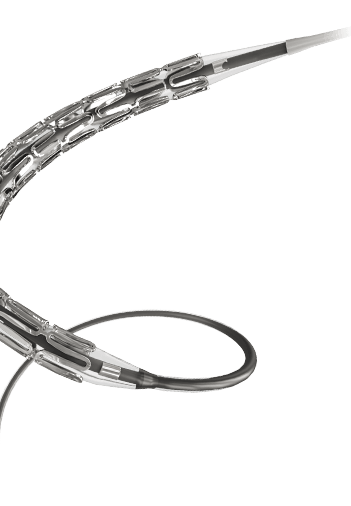 The latest advance in CAD therapy, a non-metallic mesh tube that is delivered on an angioplasty balloon to treat a narrowed artery, similar to a stent, but slowly dissolves once the blocked artery can function naturally again and stay open on its own. • Trim visible fat off meat and poultry. • Try low fat cooking methods such as steaming, grilling, baking and boiling. • Choose low fat dairy products (e.g. low fat milk, low fat cheese or yoghurt). • Replace saturated fats such as butter, ghee and lard with unsaturated fats such as margarine and canola or olive oil. • Replace coconut milk with low fat milk. • Egg yolks, offal (e.g. brains, liver, and kidney) and shellfish (e.g. prawns and squid) contain rich sources of dietary cholesterol. When consumed excessively, blood cholesterol may be raised. • Cut down on added salt, monosodium glutamate (MSG) or soya sauce. • Limit preserved and salted food such as instant noodle, canned food, preserved meat, salted eggs or salted nuts. • Use herbs and spices to flavour your food such as fresh chilli, lime, onions, garlic, lemon and pepper. • Ask for reduced sugar drinks and juices. • Look for sugar free products. • Eat fresh fruits instead of choosing fruit juices. • Try unpolished rice, wholemeal bread, and chapatti and wholegrain cereals. • Include beans, lentils and legumes in your diet. • Eat more fruits (if you are not diabetic) and vegetables. • Alcoholic beverages are high in calories, therefore consumption should be reduced to control your weight and particularly if your triglyceride level is raised. Once a CAD care plan has been established by your doctor, its success depends on your willingness to see it through. If you smoke, create a plan to stop. There are supportive groups you can contact to help encourage you, as well as medications to make stopping easier. Try to lose weight, even if it’s only a few kilograms. Remember that even a 2.5 to 5 kg weight loss can significantly reduce your risk of heart disease. Make moderate exercise a part of your daily routine. Regular physical activity is a great way to burn fat. It also releases natural chemicals such as endorphins and vasodilators that help to maintain healthy blood vessels. Monitor your blood pressure, cholesterol, and blood sugar. In addition to having your blood pressure, cholesterol, and blood sugar checked regularly, be sure to limit your sodium intake, eat healthy foods, exercise regularly, maintain a healthy weight, and take all medications prescribed by your doctor. After being diagnosed with CAD, it’s important to have regular check-ups with your doctor.